*Please note that the names listed below are the full Facebook profile names. If you see your name, please follow the instructions listed after it to claim your prize. 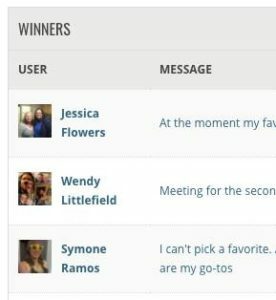 If you see a friend’s name, please send them a message to let them know they won! 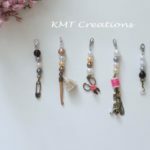 Handmade Stitch Markers: Kimberlee Dawson – Please send a Facebook message to Kayla at KMT Creations (click here). 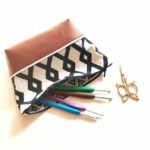 Handmade Stitch Markers & Hook Pouch: Rachel Ballew – Please send a Facebook Message to Sonya at Blackstone Designs (click here). (8 balls) of Scheepjes Stardust Yarn & a Blanket Pattern: Rachel Cantrell – Please send a Facebook message to Susan at Felted Button (click here). 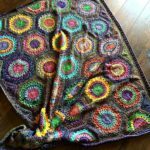 AC Moore Yarn Prize: Theresa Schacht – Please send a Facebook message to Viktoria at CrocheTrend (click here). 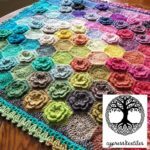 Hexagon Burst Blanket Kit in Spring Meadow color palette: Amanda Musgrave Jowers – Please send a Facebook message to Rachele at Cypress Textiles (click here). 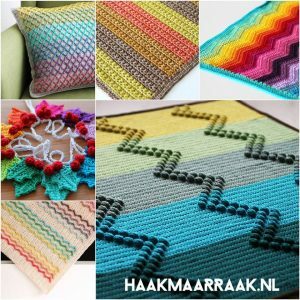 YARN Bookazine #1: Britt Irene Hakensveen – Please send a Facebook message to Rachele at Cypress Textiles (click here). 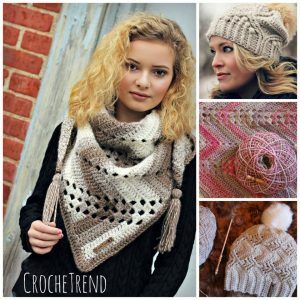 YARN Bookazine #2: Lorrianne Ritchue – Please send a Facebook message to Rachele at Cypress Textiles (click here). 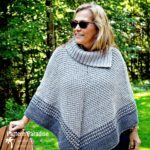 YARN Bookazine #3: Amanda Dancy – Please send a Facebook message to Rachele at Cypress Textiles (click here). 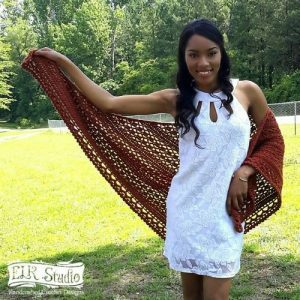 YARN Bookazine #4: Renee K Crowder Baugh – Please send a Facebook message to Rachele at Cypress Textiles (click here). 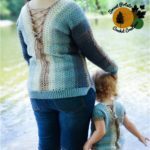 YARN Bookazine #5: Ann G – Please send a Facebook message to Rachele at Cypress Textiles (click here). 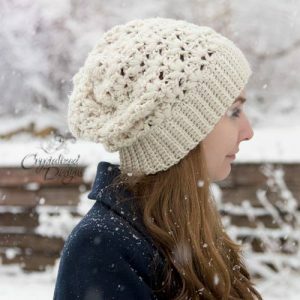 Malabrigo Yarn & a Crochet Hat Pattern: Kathy Overdorff – Please send a Facebook message to Alessandra at Just Be Happy Crochet (click here). 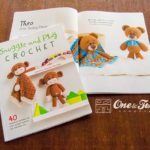 Snuggle & Play Crochet Book #1: Lee Neudahl Smith – Please send a Facebook message to Carolina at One & Two Company Crochet (click here). 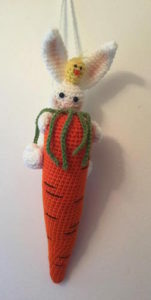 Snuggle & Play Crochet Book #2: Sarah Scott Oswald – Please send a Facebook message to Carolina at One & Two Company Crochet (click here). This year’s event is brought to you by 20 of your favorite designers! We’ve had so much great feedback about our coupon code, ENABLER, that we’ve decided to keep it for yet another year! 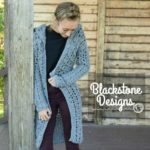 Simply click on all of your favorite designers’ photos below (and new-to-you designers) to be taken directly to their Ravelry shops! 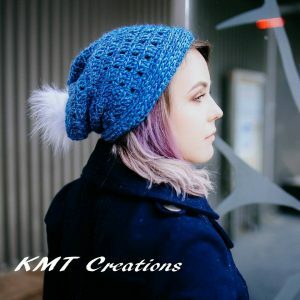 While there, add their MUST HAVE designs to your shopping cart, and apply Coupon Code: ENABLER to see what great discounts the designers are offering this year! 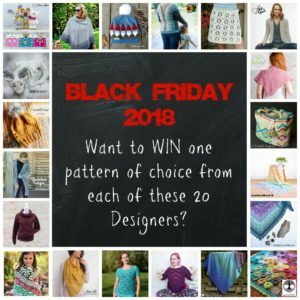 *Coupon Valid from noon est 11/20/18 thru 11/26/18 at midnight est. 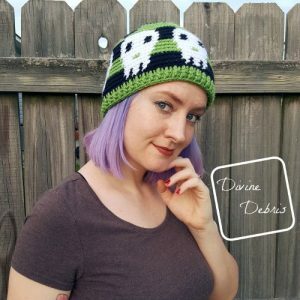 GAME #1 – FACEBOOK PAGE HOP! 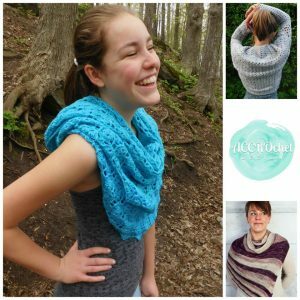 Enter to Win (1) Pattern of Choice from each of the 20 Designers participating in this year’s event! Click on over to my Facebook Page HERE & find my LIVE Video that was posted at noon EST on Tuesday, November 20, 2018. Watch the video, follow the instructions, & enter to win!!! (3) Winners will be randomly chosen & announced on Friday, November 22, 2018 by noon EST. Throughout the event each designer will be sharing collages on their Facebook pages, from all of the other participating designers. Here is an example of what you will see another designer post on Facebook. 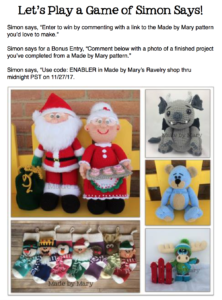 Every post will include the easy instructions on how to enter to win on that post! You can enter to win daily by commenting on every post you see like this! Every designer will be sharing 3 to 4 collages a day from Tuesday thru Monday… that’s 400+ chances to win!!! 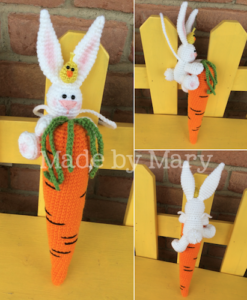 1st Entry: Comment with the link of a Made by Mary pattern you’d love to make. 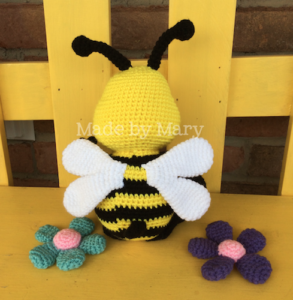 2nd Entry: Comment with a photo of finished project you’ve completed from a Made by Mary pattern. That’s it! Easy peasy, right? 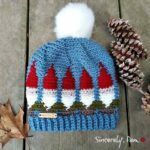 😉 Then on Tuesday, November 27, 2018, we’ll gather all of the entries, randomize a list of winners, and announce them on this blog post! NOW FOR THE AWESOME PRIZES!!! 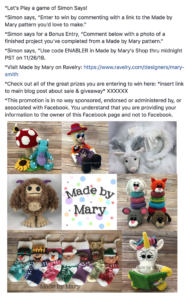 WINNERS WILL BE ANNOUNCED ON TUESDAY, NOVEMBER 27, 2018 BY NOON EST. WE’D LIKE TO SEND A BIG SHOUTOUT TO ALL OF OUR PRIZE SPONSORS!!! THEY HELPED TO MAKE THIS EVENT MORE FUN FOR ALL OF US! 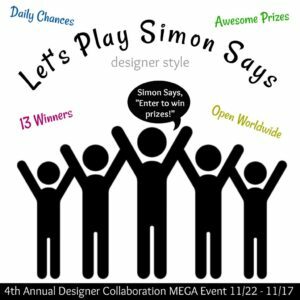 Welcome to the 4th Annual Designer Collaboration Sales Event & Giveaway! 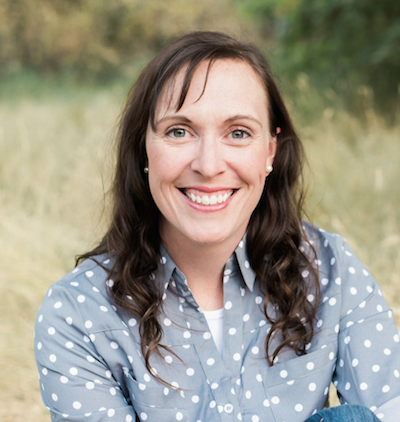 I am so excited to be participating this year for the first time ever! 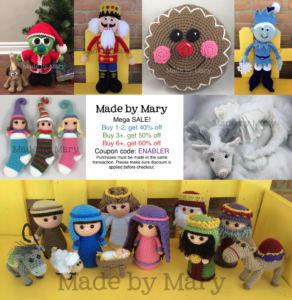 There was so much great feedback about the coupon code, ENABLER, that we are using it again this year! 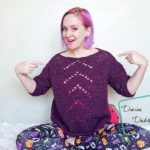 Simply click on all of your favorite designers’ photos below (and new-to-you designers) to be taken directly to their Ravelry shops! 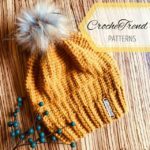 While there, add their MUST HAVE designs to your shopping cart, and apply Coupon Code: ENABLER to see what great discounts the designers are offering this year! *Coupon Valid from noon 11/22/17 thru 11/27/17 at midnight. 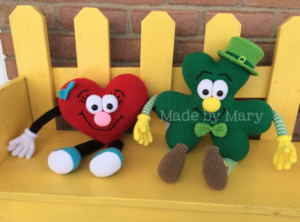 The photo below shows the 3 Winners from our Facebook Page Hop! If you are one of the following 3 winners, please contact each of the 20 designers. 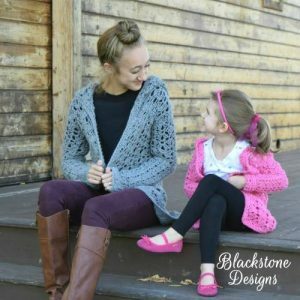 In your message to them, please include your Ravelry username and your pattern of choice from their shop. 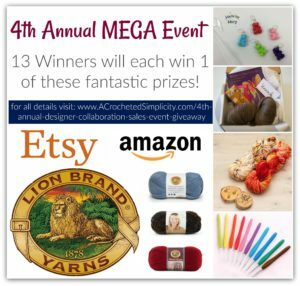 Winners will have until midnight EST on November 30, 2017 to claim their prizes. Make sure you check out our game of Simon Says below and follow along on our Facebook pages! LOTS of great prizes to be given away!! You can enter to win daily by commenting on every post you see like this! Every designer will be sharing 4 collages a day from Thursday thru Monday… that’s 400 chances to win!!! 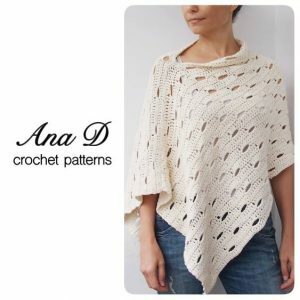 1st Entry: Comment with the link of an A Crocheted Simplicity pattern you’d love to make. 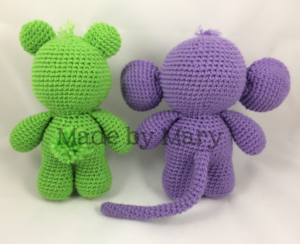 2nd Entry: Comment with a photo of finished project you’ve completed from an A Crocheted Simplicity pattern. Super, right?!?! 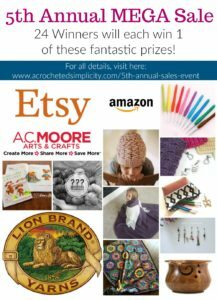 😉 Then on Tuesday, November 28, 2017, we’ll gather all of the entries, randomize a list of winners, and announce them on this blog post! ***All other prizes Open Worldwide! 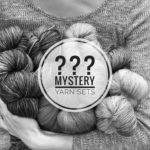 Winners will be announced on Tuesday, November 28, 2017 by noon EST. 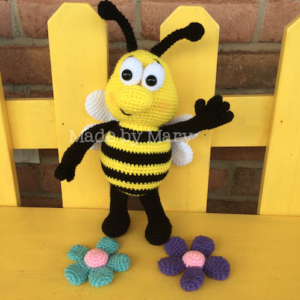 This tutorial teaches how I crochet hands to my Made by Mary amigurumi dolls. 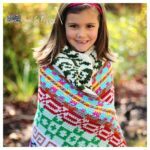 This concept applies to the patterns for my Kid Heroes, Jack Frost, Christmas Elf, Mrs. Claus, Headless Horseman, Mummy, Frankenstein, Bride of Frankenstein, Scarecrow, Werewolf, Vampire, Witch, and my Kid Characters. 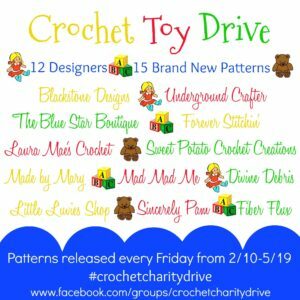 This week I am participating in the Crochet Toy Drive. 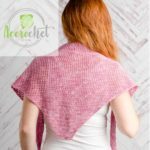 I have a new pattern to share with you and it will be free here on my website! 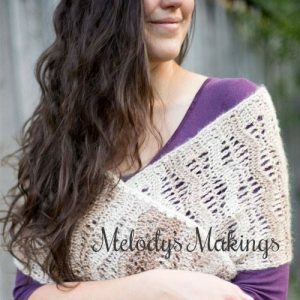 If you would like the pdf version, you can pick that up in Ravelry for $1. That version has a bunch of progress pictures. 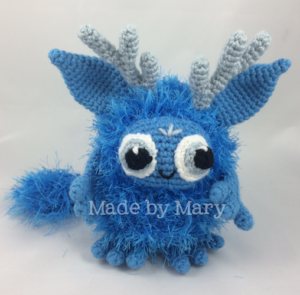 This amigurumi/plush is worked in continuous rounds. 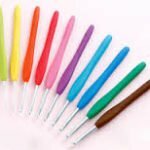 Mark the beginning of each round with a stitch marker. Use the “magic ring” when starting rounds. 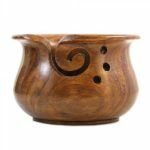 There are many youtube videos teaching how to make a magic ring or magic circle. Gauge is not important in this project as long as you are consistent with your tension. 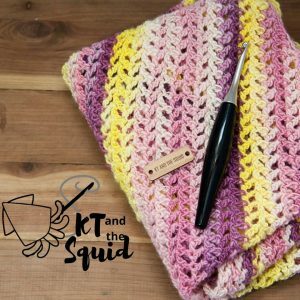 TIP: Always change colors in the stitch BEFORE the color change by pulling the new color through the 2 loops, thus beginning with the correct color on your hook. Exact colors used are listed in italics in the “Supplies” section. Some photos will not be the correct color. 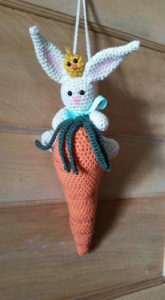 This project is made with all sc stitches unless otherwise specified. Stuff. Don’t stuff much at the top of the arm. FO, leave 8” end. Use end to sew hole. Hide end. 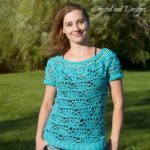 Join yarn to 1st st in front loops left over from working in back loops on R14. If making bear, cut circles of felt about the size of a penny. Insert 15mm eyes into felt and into head between R13-14, 2 sts apart. 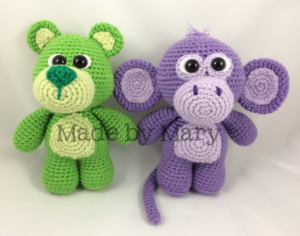 If making monkey eyes are in next step. 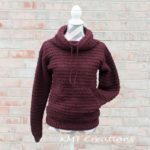 FO, leave 18” end. 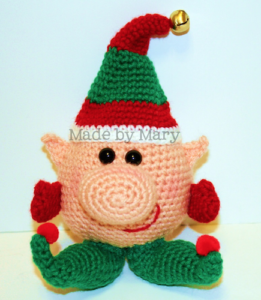 Use end to sew to belly with beginning of MR at neck area. R1: MR sc 6 Do not tighten ring. Cut circles of felt about the size of a penny. Insert 15mm eyes into felt. 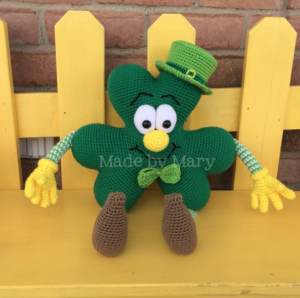 Insert into center of MR.
Use end to sew eyes to head with safety eyes between R13-14 and crochet eye part touching. FO, leave 18” end. Stuff. Use end to sew muzzle to face just below eyes. 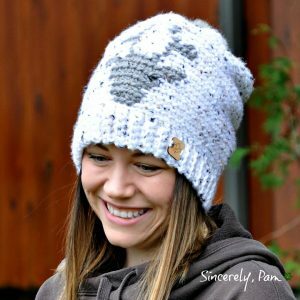 Use dark color to stitch nose holes. FO, leave 12” end. Set aside. FO, leave 12” end. Sew Inner Ear to Ear. Sew Ear to head at R13-17 counting down from top of head. FO, leave 6” end. Use end to sew to back. FO, leave 12” end. 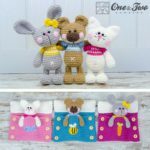 Use end to stitch to Muzzle. Sew Ear to head at R4-8 counting down from top of head. 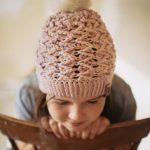 Make a pom pom and sew it on. Insert 3” piece of main color, in top of head and split ends to create hair. 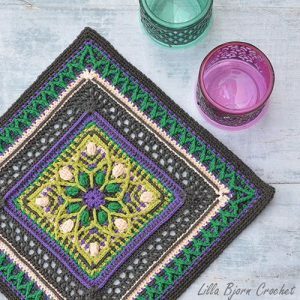 Thank you for purchasing my pattern! I worked very hard on designing and writing this, so please do not copy, alter, share or upload this pattern anywhere. Please contact me if you have obtained this pattern anywhere other than directly from me. 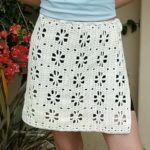 You have worked hard on your finished item and may use pieces made with this pattern for non-commercial and commercial purposes. 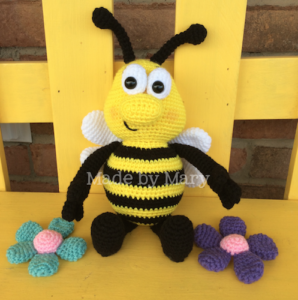 Commercial permission includes online handmade communities/shops, local craft fairs, etc. Commercial permission does not include mass market or factory production of any kind. 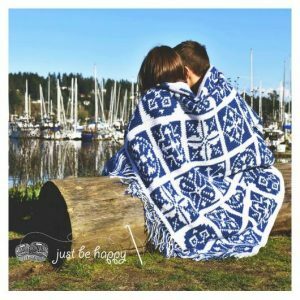 Please do not claim this pattern, design, or the pictures in it as your own. 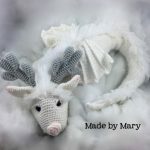 The only thing I ask is a clear designer credit to Mary Smith or Made by Mary and a link back to my Ravelry shop. 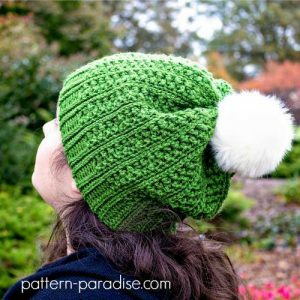 Here’s my latest pattern! 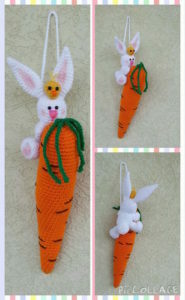 It’s a super fun bunny on a carrot wall hanging! I had so much fun designing this one! It’s about 16.5″ long, but works up very fast! 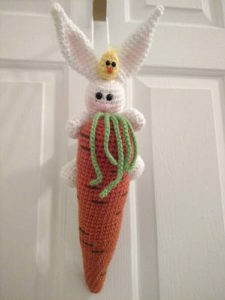 You have plenty of time before Easter to make one or two! 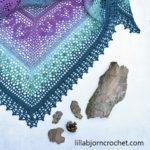 The pattern is on sale 30% off now through April 5 in my Ravelry shop, no coupon code required! Here are some of my testers wall hangings! 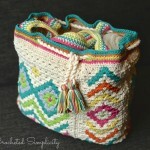 Lisa Myszka Hudson of LMH Creates made this one! Becky Mueller made this sweet wall hanging! 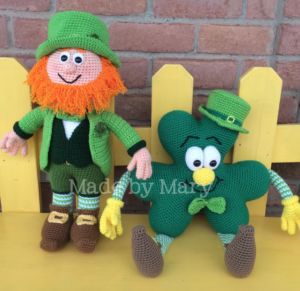 Kimberly Neubauer made this one! 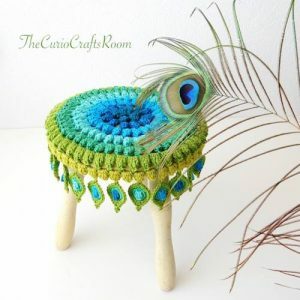 And Leanne Lewis of Leanne’s Loopy Creations made this one! If you make one, I would love to see it! 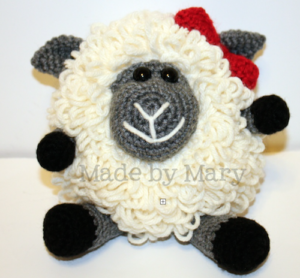 You can post a picture in Ravelry or on my Facebook page! 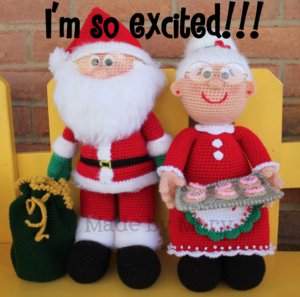 Happy Crafting!! 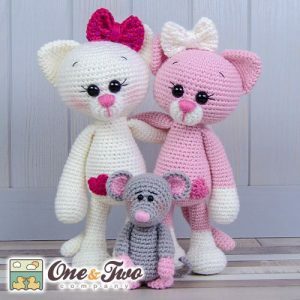 There are a LOT of ways to join legs in amigurumi. This is the most common way I do it in my patterns. This tutorial shows how I join with one sc in the center, but the same concept works for more than one.